This is our favorite sit down eatery in the park. Found near the Kali River Rapids, the menu features Asian fusion inspired items such as Thai chili chicken wings, lettuce cups, pork egg rolls and Ahi tuna salad. It's a nice place to unwind while sipping on one of their featured cocktails. If you like TGI Friday's then you will enjoy the menu items here. 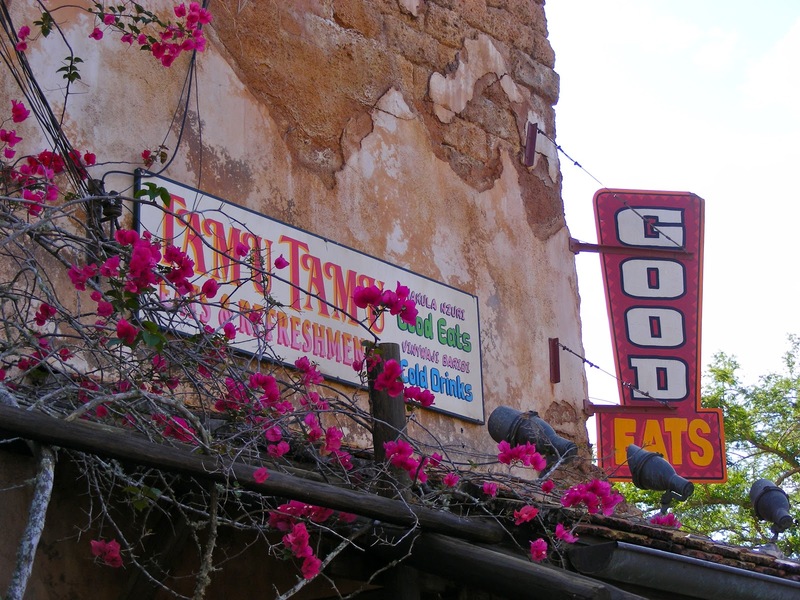 Located at the front entrance of the Animal Kingdom, the restaurant can be popular with children for its audio animatronic animals and periodic thunderstorms. 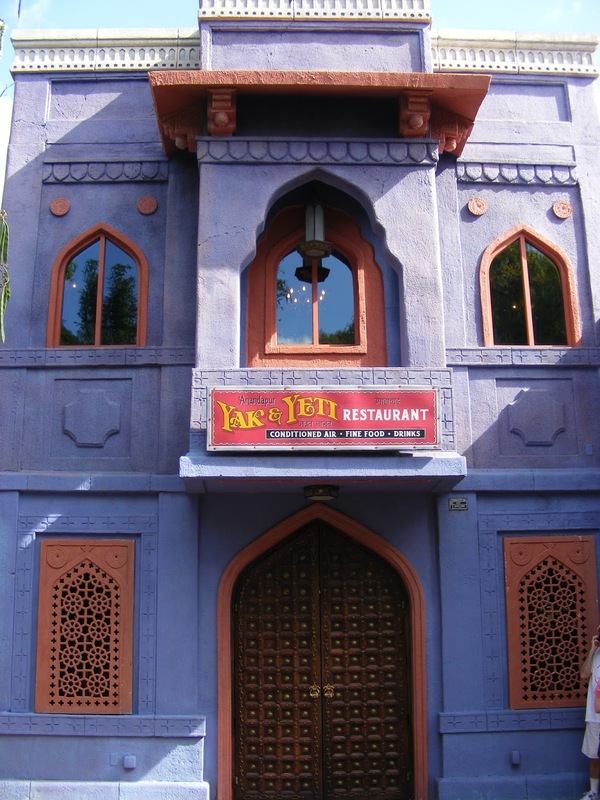 Their menu is extensive and features something to satisfy everyone at the table. A very large counter service establishment that specializes in pizza. 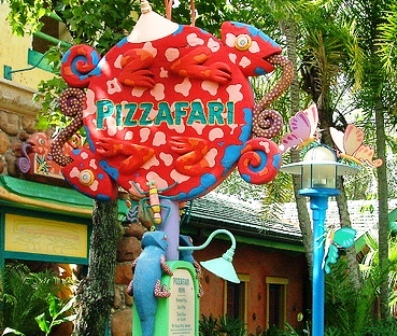 While this eatery features a pretty limited menu of pizza, an Italian sub sandwich or salad offerings, it is one of the better places to get a decent pizza (which can be hard to find in WDW). Breakfast items can also be found here in the morning. This outdoor counter service specializes in barbecue. Some of the highlights include pulled pork, barbecue chicken and ribs along with traditional bbq sides such as corn on the cob and baked beans. There is a deceptively large seating area located out of view; follow the path near the condiments where you will be greeted by some friendly birds waiting to mooch a meal off of you. And here is where you will find the famous Disney Turkey Legs! A counter service attached to the sit down restaurant of the same name. The menu features limited uninspired Asian style fare However, if you're just up for a basket of fries, go for it, they're awesome. Located near Dinosaur, this counter service is often overlooked. Menu items features burgers, chicken nuggets, black bean burger, grilled chicken sandwich and gourmet hot dogs. There are terrific iced rum lemonades that go down real easy. 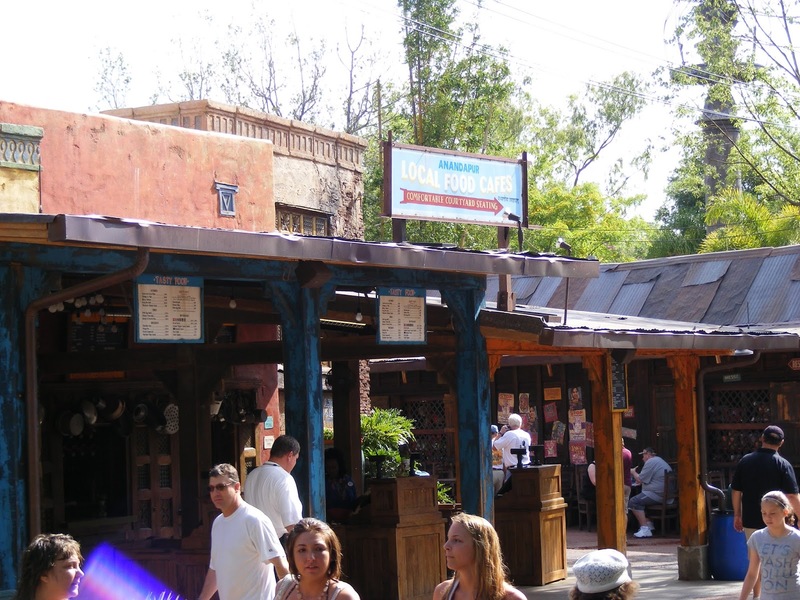 Drinks are self-serve, which is a rare find in the parks. Fashioned from a genuine Airstream Camper, this eatery features archaeological decor that fits in nicely with Dinoland. 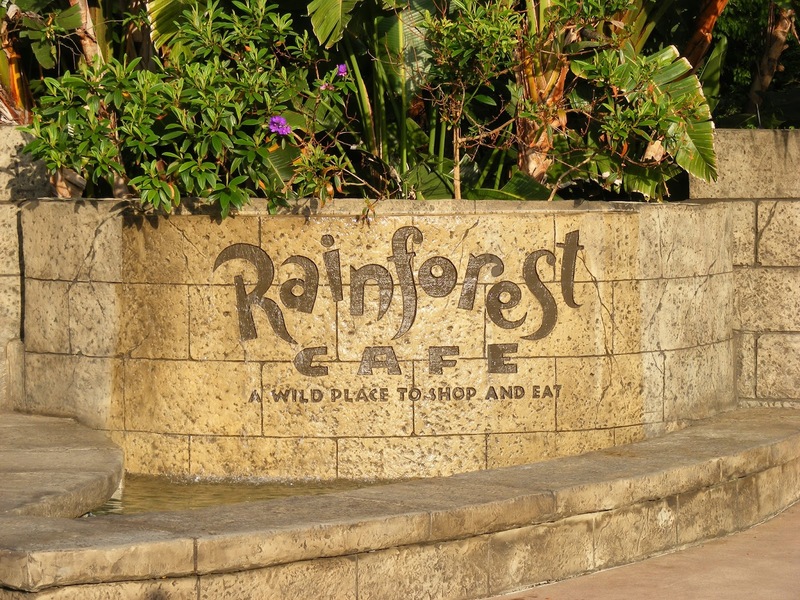 Located in the heart of Harambe, this counter service has a limited menu. However, the menu is far from typical theme park fare and includes the following; slow roasted pulled beef, roasted chicken salad sandwich and a south african quinoa salad. These offerings are paired with freshly made potato chips. 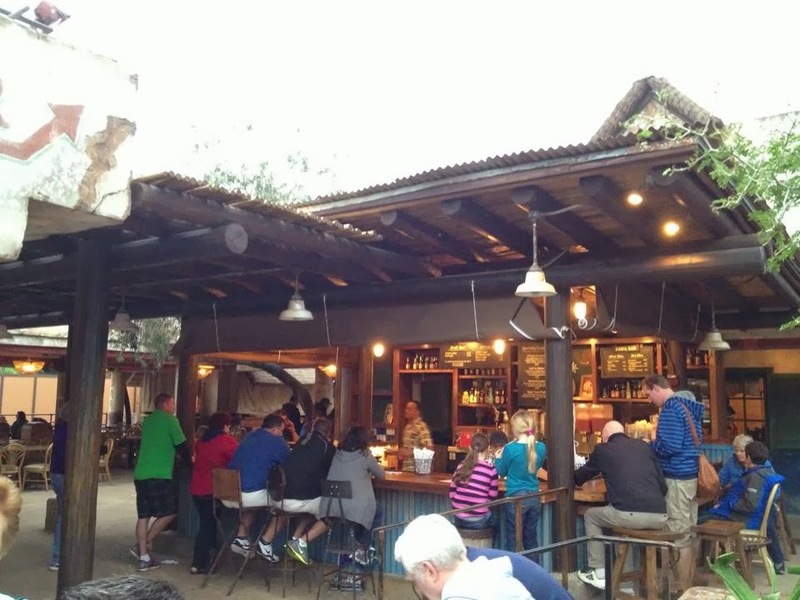 Dawa Bar is a full service bar, located next to the Tusker House just over the bridge from Discovery Island. And it is a good one! It’s a great place to sit and relax in the afternoon after a hot day of exploring the Animal Kingdom. It offers a selection beers, including some bottles from Africa, and some terrific themed mixed drinks that really hit the spot. If you are looking to kill some time before your next scheduled Fast Pass, take a load off at the Dawa. There happens to be some unique snack carts around this park, which is another reason why we love it so much. This cart offers up soft serve waffle cones with vanilla, chocolate or twist, as well as soda floats made with your choice of beverage. Corn dogs and chips along with beverages can be found here. This is perhaps the best of all snacks created here...handmade ice cream sandwiches made to order and sandwiched between two freshly baked cookies! They are indescribably good. Hot fudge sundaes, ice cream floats with choice of beverage, and churros can also be found here. Cinnamon glazed almonds and pecans, hot dogs, frozen lemonade and frozen coke. Bud light and frozen rum lemonade are offered here, as well. This cart features soft drinks and fresh fruit and is open seasonally. A Joffrey' s coffee and donut kiosk. Don't bother, just visit Kusafiri or Java Isle once inside the park. Set up like a farmer's market they offer fresh fruit, pickles, veggies and dips. The jalapeno cheese stuffed pretzel can also be found here. The island cappuccino can be found at this cart for those who want a little rum in their morning cup of joe. The cotton top tamarin cupcake is also featured here along with crumb cakes, brownies and rice krispie treats. Featured here are coffees and breakfast items such as bagels and cereal. Also featured, are the specialty Zebra, White Elephant and Cotton Top Tamarin cupcakes. What can't be missed, however, is the African Spice Cake, it's definitely a must do! This kiosk has recently switched over to all vegetarian. You can get an asian noodle salad, hummus with veggies and pita, vegetarian samosas, a falafel sandwich and edamame beans that provide that protein power up for that midday slump. Very good frozen Chai, as well as a large variety of tea flavors. A tea lover's dream! This serves the same handmade ice cream sandwiches as Dino-Bite Snacks. You can get Jungle Juice here....its wild! Passionfruit Orange and Guava juices blended together; it's the same juice that can be found at Boma breakfast as well as the Tusker House. This small kiosk now offers two unique dessert items: a warm waffle with strawberries and cream, and a baked apple blossom with ice cream. You can get a Yak Attack here! They are a frozen mango and berry daiquiri with light rum...don't miss 'em they're so good. 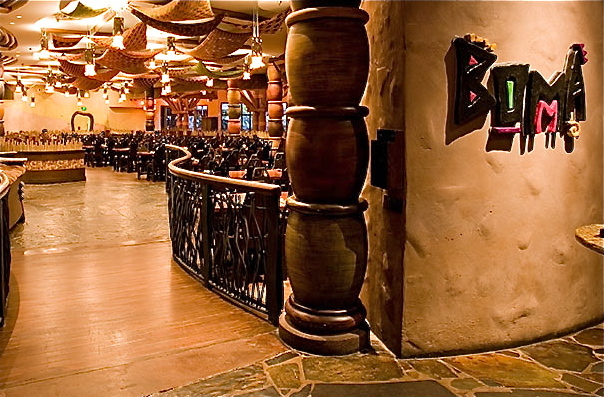 Jiko, like Boma, is found in the lower level of the Animal Kingdom Lodge. This is a signature restaurant. Some of the highlights include the oak-grilled filet mignon, flatbreads and the braised beef short rib. Jiko is often cited as having the best macaroni and cheese in all of Walt Disney World. Unfortunately, it is now only featured on the children's menu, but don't be afraid to ask for it. This is one of the best restaurants in all of Walt Disney World. It features authentic African cuisine such as Bobotie (lamb and beef quiche with onions, raisins and bread) and Fufu (sweet and white potatoes mashed together with coriander and cinnamon). The amazing soups on the buffet line are worth the price alone. Boma also features an eclectic salad bar with excellent salad dressings. Hidden downstairs of the lobby in Kidani Village, Sanaa combines African and Indian cuisines. 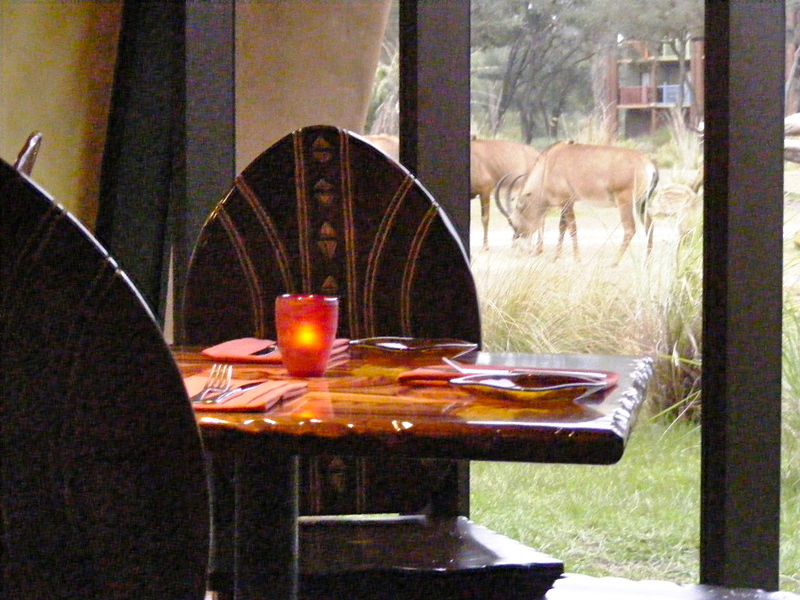 The dining room is gorgeous and has a stunning view the hotel’s animal viewing area. I highly recommend the Indian Bread Service as great appetizer to share between two. 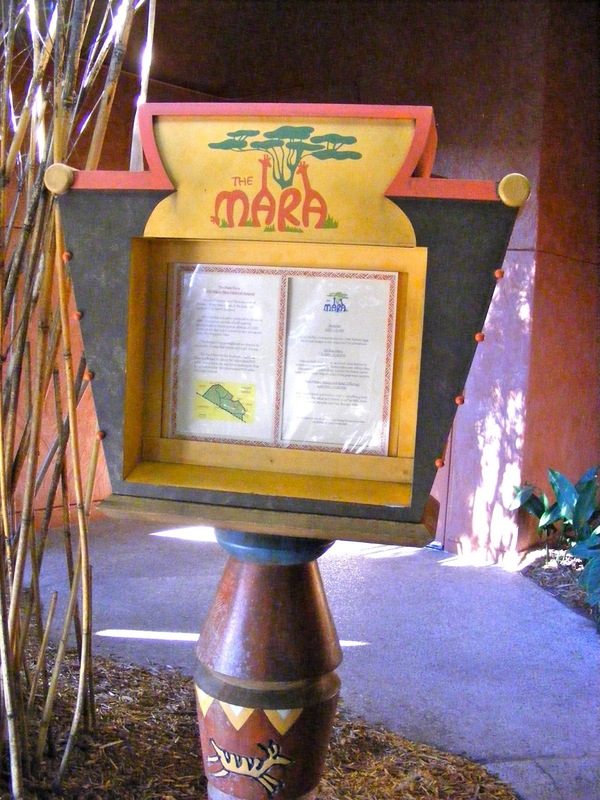 Mara Mara is one of the better resort counter service eateries. Diners can choose from fresh baked flatbreads to burgers, and roasted chicken just to name a few. They also offer prepackaged items that you can buy and bring back to your room for a late night snack. Feel like lounging by the pool for lunch or dinner? Swahili for ware, the Maji offers vegetarian falafel, Tandoori chicken Caesar salad, a Cuban sandwich, as well as other typical quick service items. The Maji also features a complete bar serving the standard WDW specialty drinks. Sir, I agree with you on all but two things. 1. Sanaa is at least 5 stars, it may possibly go to 11! I say this because it is not only delicious but incredible unique, even to Animal Kingdom. Plus, in spite of Jiko being the signature restaurant, I feel that the atmosphere at Sanaa is better. The trees and the animals, it's like eating in the Jungle without the crap that comes with Rainforest Cafe. 2. For quick service, Mara is a 4 or a 4.5. It has unique items and they are actually good. I wouldn't say it's a 5 because I've been to Port Orleans and the Value resort quick service and they are superior and what I would call a 5.